Blog: Do you suffer from Heel Pain? Plantar Fasciitis is a disorder that usually occurs when you put weight on your feet after a long period of rest. It occurs when the thick band of tissue that supports the arch of the foot becomes inflamed. The pain may improve when walking but it usually gets worse after exercise. Plantar Fasciitis can radiate all the way up your leg or into the arch of your foot, making everyday activities extremely uncomfortable even in the most comfortable shoes. 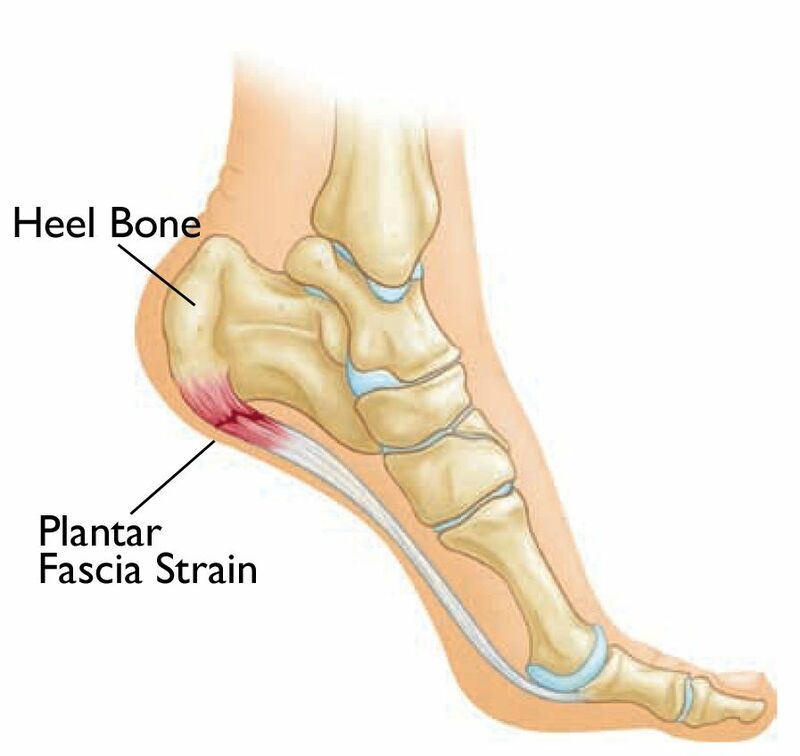 What can be done to Treat Heel Pain & Plantar Fasciitis? Don’t worry, relief is incite and it doesn’t involve surgery. There are many non-invasive ways to treat Plantar Fasciitis. Over the counter pain relievers, like ibuprofen or Motrin, can be taken to help ease pain and inflammation caused by plantar fasciitis. Your medical doctor or physical therapist may recommend a series of exercises to help stretch your plantar fascia and Achilles tendon. Stretching and strengthening your lower leg muscles will create added stability for your ankles and heel. Your Podiatrist or local friendly neighbourhood chiropractor may prescribe custom made orthotic inserts. Custom made orthotic inserts are designed to help a patient distribute weight more evenly to their feet and offer cushioning to the heel cushion for pain relief. Here at Vancouver Orthotics, we recommend setting up an initial consultation and exam with Dr. Michael Horowitz so, he can examine your symptoms and help you get to the root of your Plantar Fasciitis. Once Dr. Michael Horowitz is able to pin point the cause of your heel pain, he will develop a treatment plan to help alleviate it. If necessary, Dr. Horowitz maybe prescribe custom orthotic inserts, they can be life changing. If it looks like you might be suffering from Plantar Fasciitis or heel pain feel free to give us a call! Let us help you solve your HEEL PAIN – Call to book an appointment 604-737-3668 or to speak to Dr. Michael Horowitz.